This month, we are talking about introducing a newly rescued pet to your home and to any of your current pets! Bringing home a new pet is exciting, and we always want these transitions to go as smoothly as possible, so it’s important to make sure that everyone, both human and not-human, is happy during the process! First, let’s discuss how to best prepare your home for bringing home your furry arrival! Dr. Marks suggests that you should pet-proof the area where your dog or cat will be spending most of its time. This includes taping or restricting electrical cords to baseboards, placing child locks on cabinets, installing baby gates or other safety measures around areas where they should not be, and elevating plants or removing them entirely if they are on the toxic list. For dogs in particular, Dr. Marks recommends that you take time to talk with everyone in your home to create a training vocabulary list. This will help prevent confusion for the dog and the humans! It is also best to start with training sooner rather than later. When picking up your rescued dog or cat, be sure to bring an ID tag with your phone number to place on a carrier or collar for an extra measure of safety the first few days. 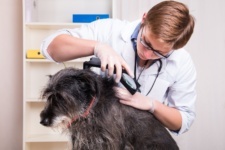 If your pet is microchipped, make sure to change the contact information to your own. How should you introduce your dog to your home for the first time? Some dogs can find car trips stressful, so make sure that your dog is safely secured in a carrier or crate on the way home. Once home, take him or her to the bathroom area immediately and spend enough time to allow him or her to urinate and/or defecate. Even if your dog is house trained, the stress of a new home, new people, new smells, and new sounds can cause regression in the most trained dogs—you should be patient if there are accidents in the house during this transition period. When your dog first arrives home, leave his or her crate open so he or she can go in at any time without restriction. Dr. Marks also highly recommends starting a schedule with three segments from day one: feeding, bathroom, and exercise, using the same key words every time as cues. You should refrain from going to the dog park or having large family gatherings during this time. Limiting excitement in the first few days will help him or her settle easier, and will also allow the family to get to know him or her better. Dr. Marks recommends introducing no more than one person to your dog each day. Lastly, every dog needs time to be alone and explore his or her new surroundings. Observe from a distance to ensure both your safety and your pet’s safety. How should you introduce your new pet to a pet you already have in the home? Let’s start with introducing a new dog to your current dog! 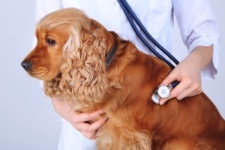 Dr. Marks recommends first choosing a neutral location to introduce the new dog to the resident dog, and each dog should be handled by a separate person. This should be an area neither is familiar with, and both should remain on leash. Let each dog sniff the other, and as they do, praise them in a friendly, calm tone. This should be a very brief meeting, because a prolonged amount of time investigating can escalate to a fearful or reactive response. If this short period is well tolerated, repeat this pattern at intervals. 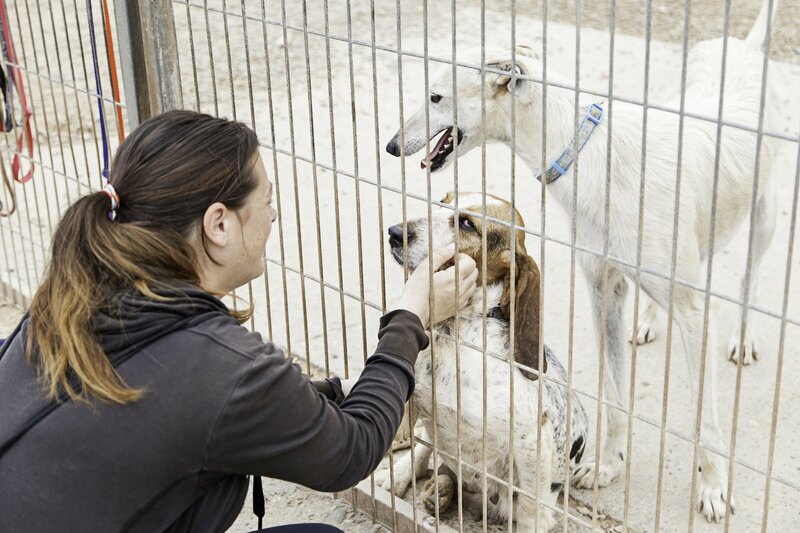 As the dogs tolerate each other’s presence without any fearful or reactive body language or response and seem calm, the dogs can be brought home. If the new dog is coming into a household of multiple dogs, this process needs to be done with each resident dog individually. How should you introduce a new cat to your current dog? First, Dr. Marks recommends that you confine your new cat to a bedroom or office with a litter box, food bowl, water bowl, and bed. The resident dog should be fed on the other side of the door so each can associate something positive (eating) with the smell of the other pet. After a week or so, this can be done with a doorstop propping open the door so the new cat and resident dog can see each other. After a week, swap blankets, beds, or towels between the new cat and resident dog so each can become accustomed to each other’s scent. Rub a towel on one animal and place it underneath the food dish of the other. 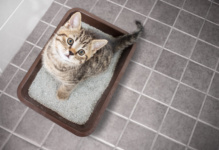 When your new cat has an established routine of eating regularly and using the litter box, allow the cat to have free range of the home and confine the resident dog. This allows the new cat to become familiar with the new surroundings without being fearful of the resident dog initially. Try to keep the resident dog’s schedule as close as possible to their regular routine. 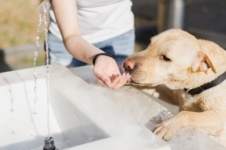 Practice obedience commands, like “sit”, “down”, “come” and “stay”, which allows brain stimulation in addition to better control in potentially stressful encounters. After your new cat and resident dog have become comfortable eating on each side of the door and have been repeatedly exposed to each other’s scents as described above, a face-to-face introduction can happen in a controlled manner. The resident dog should be on leash and commanded into a sit or stay. The new cat should be with another family member on the opposite side of the room, being offered special pieces of food or catnip. Allow the cat freedom to explore the resident dog at his or her own pace while giving the dog treats and praise. If the new cat runs away or becomes aggressive, the progression is too fast, and you should go back to the previous steps of feeding on each side of the door. Always be sure that the cat has an escape route and place to hide. Keep your resident dog and new cat always separated if people are not home and this introduction has not been repeatedly positive. How should you introduce a new cat to your current cat? According to Dr. Marks, the most important tip to introducing your pets is to be patient and make the introduction very gradual. It can take most cats 8-12 months to develop a friendship with a new cat. Some cats certainly become close friends; however, others never do. If the resident cat currently becomes reactive or aggressive when seeing cats outside the home, it will most likely be very difficult to introduce a new cat into the household. However, it is impossible to completely predict this! The resident cat should be completely separated from the new cat coming into the household from day one. The two cats should be able to smell and hear, but not see or touch each other. That means each cat should have his or her own food bowl, water bowl, litter box, scratching post, bed, etc. Both cats should be fed high-reward treats, like tuna, salmon, liver, etc., by the door that separates them as well. Switch the cats’ positions after 2 to 3 days. This allows the new cat to explore a different section of the home and allows each cat to investigate the other smell. After 1 to 2 weeks, if no signs of hissing or growling have been noticed, the cats can be introduced visually through a baby gate. As each cat sees the other, both should receive high-reward treats, and then, after a few days, meals while in each other vision fields. If the process is still going well, the cats can spend time together without a barrier. These visits should be supervised carefully. The best times to do this are after heavy play or a big meal when they will most likely be as calm as possible. If the cats begin to fight, spray a light mist of water with a squirt bottle. If the new cat is coming into a household of multiple cats, this process needs to be done with each resident cat individually. Make sure the living space has plenty of hiding spots and a litter box per cat, plus one. If you are introducing a new dog to your current cat, you should follow this same procedure! Introducing a new pet to your home and any pets you already have is fun and exciting, but also a challenge! In the end, there is more furry love to be had, and it’s worth the work! 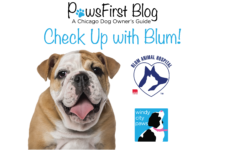 Thank you to Dr. Natalie Marks at Blum Animal Hospital for her insight into bringing home a new pet and introducing them to your furry family! We appreciate her hard work in making sure that every Chicago pet has the best life possible!